I don’t know why it’s just hard for some people to be open to suggestions and criticism. I mean, seriously, you don’t need to get too defensive when someone says something that contradicts with what you feel. And there’s definitely no need to get all emotional and start blaming other people for it. It’s just too childish. Like, seriously. Grow up dude. Stop taking everything personally. Like, who cares about who you are and what you think. I have my perspectives on life, and so do you. I respect that. Which is why instead of criticizing you in public where hundreds or thousands of people can see / know about it, I talk straight to you. It’s more personal and professional and it gets things done easily. I know, and it’s pretty much up to you if you want to help other people. But this is life we’re talking about. There’s etiquettes in everything, even the smallest little things in life. And the main problem about living in this technology era is where information gets shared easily via copying-and-pasting that it seems so natural to just take something off the internet and sharing it with other people. There’s two small problems with that habit of copying-and-pasting from the internet. 1) How are you supposed to know the truth behind what was written? Are you sure that’s the fact, or are they just someone’s personal opinions? Especially on heavy and important topics such as the political agendas of countries and the economy of a nation. Anyone with an internet connection can basically start a blog or a website and write up some random stuff about the economy / politics of a particular country, but that does not necessarily means that it’s true, right? The same principle applies to everything else. Tips, notes, and references taken from sources on the Internet have to be read carefully to ensure that they are right, especially if you are sharing these ‘tips’ to someone else. You wouldn’t want to give the wrong tip or instruction to someone and get them into trouble, right? Let say you’re teaching someone how to make a dress (for example). You can just take off any random tutorial online and pass it to him/her. But if you didn’t check the tutorial yourself, who knows, you might have given the person a tutorial to make a shirt instead of a dress, which is not what he/she wanted. Sorry for the sudden burst of emotion tonight. I guess I’m just a little bit pissed off with certain people. *sigh* Okay, probably not that pissed off, just a little bit. But somehow I don’t blame them. I mean, I used to be real sensitive with criticisms and comments. Like, I really was sensitive about them. I can’t accept any criticisms, at all. That was how bad I was before. 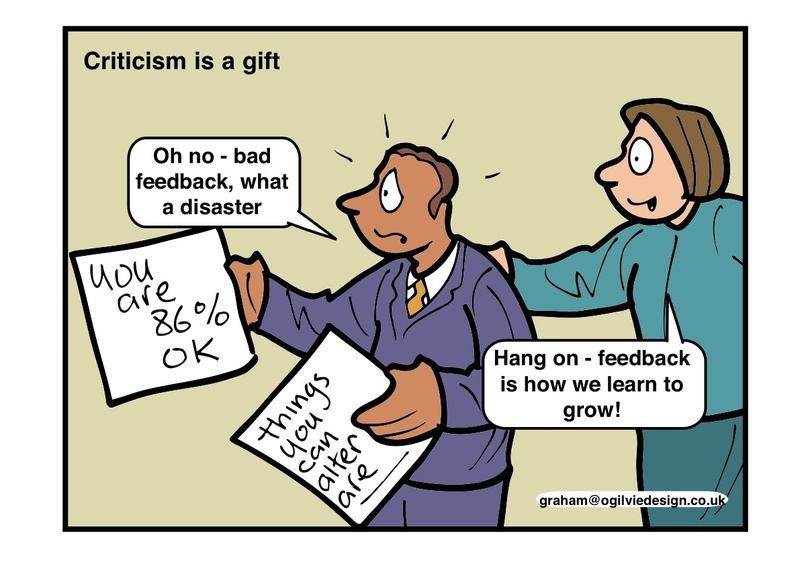 But then… Over the past few years, I realized that, hey, those are not negative feedback. Those criticisms that I received, they are my opportunities to grow, to improve. And considering the fact that I’m a blogger and a writer, I need to change my perspective and learn to be more open to suggestions. I need to learn to see things from another point of view, another person’s perspectives. I need to learn to understand other people so I can write on a more general basis instead of writing my own somewhat-biased opinions. There’s a term I learnt at work: copy and paste with pride: following how others do their work but learn from it and adjust accordingly to your situation. I agree. We wouldn’t learn anything if we didn’t know how to follow what other people do. I mean, when we were kids, we copied the way our parents talk and walk and eat and everything else. But we adapt it to ourselves, change it accordingly and adjust it to our own capabilities. Next post	Alive but Dead.